This Saturday: Local Tap Takeover!! We are very stoked in anticipation of this Saturday's "local tap takeover"
We've got kegs from Old Yale Brewing Co. just chillin' (good pun) in our cooler. We've got kegs from Chaos & Solace Brewing Co. waiting to be tapped and enjoyed. We are also having the Guerilla Q truck out again for some absolutely mouth watering eats! This is the first event we've had like this in our ongoing quest to bring the BEST craft beers to Chilliwack. Our Taphouse has been on a very unique labour of beer love and we will continue to seek out and bring our friends the very best beers our province and country have to offer. Our passion will not be duplicated or impersonated. 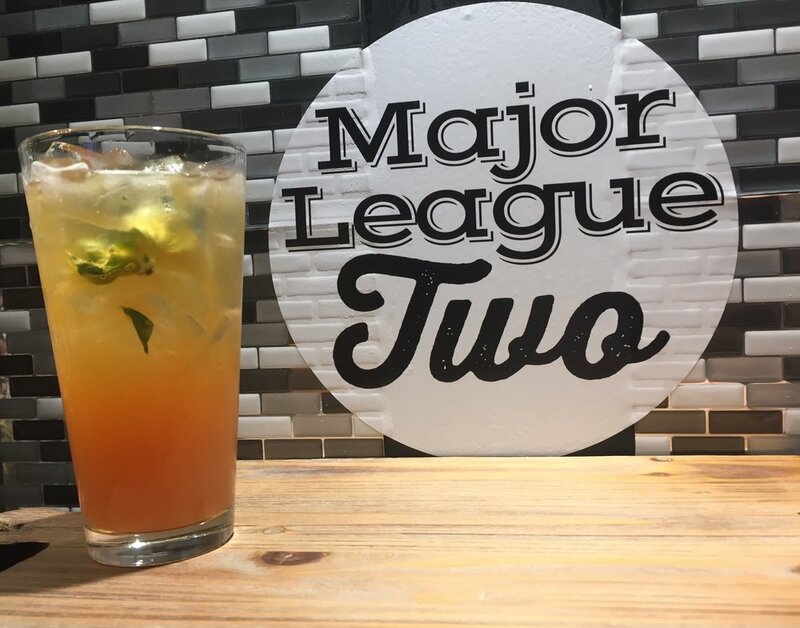 Whether you are popping in on Saturday to try one of our custom creations (Craft-Tails, housemade ginger juice Moscow Mules, or any of our other fabulous refreshing cocktails) or a pint of delicious Craft Beer we think you'll definitely be impressed. It's been a true labour of love for all our staff. We even had an incredibly talented somalier come in to taste and talk to all front of house staff about our new wines. We all learned so much that day, and we are all so pleased to be more educated and able to help our guests decide what they might like to sip on. There are 8 new taps with wines ranging from Riesling to Malbec! It will really open up our options and allow our guests to divert from the normal basic house wines. Of course we will still have our house Domaine De Chaberton (as it is a fantastic house wine!) and we will keep our Copper Moon also. It will be great to have so many choices! In addition we will be offering up a unique wooden custom made 9 oz flight paddle FOR WINES! What a fun way to discover a new fave or try ones you'd not normally go for. You get to choose three 3oz glasses. Stay tuned for our spiffy new wine lists and pop into the pub to try some fancy grape juice today! It Doesn't Get Any Better Than A Beer Caesar! it's built with a shot of premium vodka, a good healthy amount of tomato clam cocktail, a splash of sour briny pickle juice, spiced to perfection with tobasco and Worcestershire sauce. We shake it up and pour it into a Caesar-salt rimmed glass and top that off with some Lager and garnish that baby with a lime and a couple crunchy pickle slices! It's the perfect way to chase away a hangover, or just relish in that savoury satisfying sensation only a Caesar can give you! it's built with ice, raspberry sourpuss, raspberry vodka, lemonade, and a muddled orange. It's shaken vigorously (best shaken with tyler's bulging arms) and topped with hefeweizen. A perfect hot day thirst quencher! I will be doing a feature Craft-Tail blog each week, but all these little babies will be available starting June 1st! we fill a mixing glass with ice, add a 1/2 oz of gin and a 1/2 oz of Soho Lychee Liqueur, a good sized splash of rio red grapefruit juice & a kiss of lychee nectar. Then we shake it up and top it with Driftwood Brewery's heavy hop hitter Fat Tug and garnish with a sprig of fresh basil. The combination of grapefruit juice and basil really brings out the hoppiness of the Tug, and the lychee gives it just that right amount of sweetness, this refreshing summer Craft-Tail will make even the most discerning tastebuds do back flips!